Former Florida Gov. 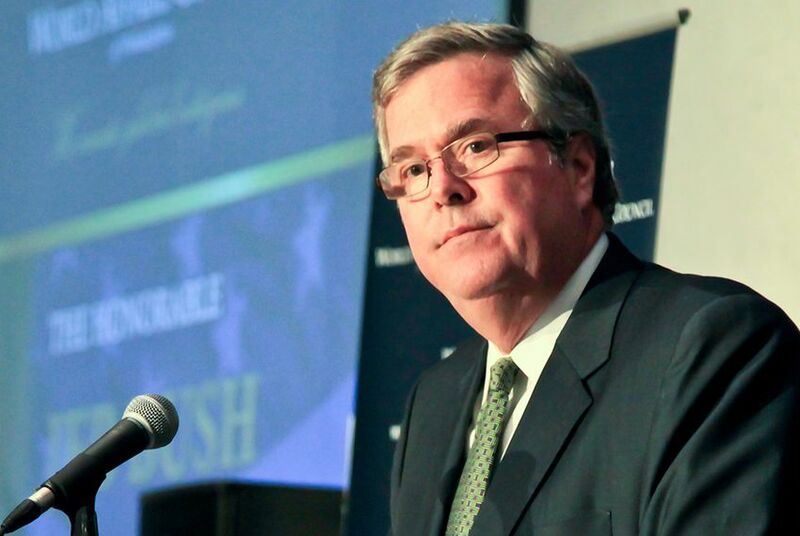 Jeb Bush just picked up a serious GOP fundraiser in East Texas. Gaylord Hughey Jr., the top GOP bundler of East Texas, said in an interview with the Tribune that he is backing Bush, should he follow through on a presidential run. WASHINGTON – Former Florida Gov. Jeb Bush now has a serious GOP fundraiser in East Texas backing his early presidential efforts. Oil and gas attorney Gaylord Hughey Jr., the top GOP bundler of East Texas, said in a Thursday interview with The Texas Tribune that he will round up Piney Woods money for Bush. “I think he’s pragmatic. I think he’s thought a lot about his positions,” Hughey said in a phone interview. “I don’t think he will change his public policy positions to pander to folks, and I think that authenticity will come through in his campaign." "And I think it will make him successful,” he added. On Sunday, the Tribune named Hughey as one of the most sought-after Republican bundlers in the Lone Star State. In 2012, Hughey rounded up $358,000 for Mitt Romney and about $16,000 for former Gov. Rick Perry, according to the Center for Responsive Politics. Earlier this year, Hughey was a fundraising free agent. “I want to hear everyone out before I commit my time and resources to supporting an individual candidate,” he told the Center for Public Integrity in January. Hughey said he is a big fan of former President George W. Bush, but he did not know his brother well until recently. Jeb Bush and Hughey met in Dallas about a month ago. “I know enough now that I feel like I can justify my time and ask my friends to participate if he decides to run for the Republican nominee,” Hughey said.